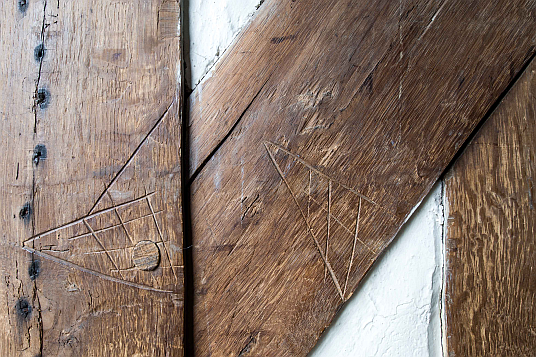 GB, Coggeshall: Exceptional carpenters' marks in a house of a wool merchant, 1509-1510. 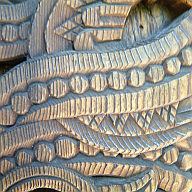 Content and design of the website are protected by copyright. The reproduction of text, photos, graphics and all other content, as far as protected by German copyright laws, is prohibited with the exception of private use. Any form of distribution or publication without the prior written consent of the Pressler GmbH is interdicted. This includes use for private homepages too. Despite thorough editorial handling of the contents Pressler GmbH does not guarantee and cannot be hold responsible for the completeness and currency of the content. This also applies to all external sites that link to the offer of the Pressler GmbH. The services described on our website and all prices to be understood as legally non-mandatory. Only a mandatory quotation in written form establishes liability. Pressler GmbH cannot be hold responsible for any content published on foreign homepages linked at this homepage. Downloads are conducted at one's own risk. Pressler GmbH does not guarantee its success or ability to function. All downloads are subjected to a virus scan before being published. We are not liable for damage, deterioration or loss of data, in particular by computer viruses. Downloads authorize for private use only. Any further use requires written permission by Pressler GmbH.